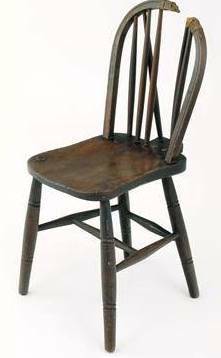 A few days ago, Kit Ward sent me a link to his blog on the chair used at Josef's execution. He drew on my website and blog for a lot of the information and got most of the details correct. It's always nice when people touch base before, or after, posting a blog. Even nicer when they have a link back to my website and blog. The chair is obviously an evocative image that speaks for itself without needing a lot of words.